Designed to reduce the size of the stomach, gastric sleeve surgery can help severely obese patients lose weight by limiting the number of calories that they can comfortably take in. The procedure works in part due to the smaller size of the stomach—so what happens if the stomach stretches? This is a common question our experienced weight loss surgeon hears from patients. The truth is, the stomach will stretch—it’s designed to stretch when you eat—but it will also contract. That said, it’s important to understand that regularly stretching the stomach could lead to a permanent increase in the size of the stomach, and that could lead to weight gain. The stomach is built to stretch when food enters. When the stomach reaches capacity, it alerts your body that it’s full so you will stop eating. When a person overeats, the stomach stretches even more to accommodate the extra food. If this is a rare occurrence, the stomach will simply shrink back to the previous size. If overeating happens regularly, the stomach may grow permanently larger. Additionally, the body may not recognize when the stomach is full, and therefore may not be able to signal you to stop eating. Furthermore, your stomach may activate feelings of hunger when the stomach is still half full. Essentially, when your stomach permanently stretches, your hunger and “full” signals can become confused. 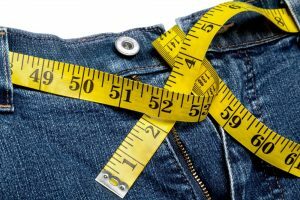 As a result, you can gain weight, even after gastric sleeve surgery. The important thing to remember is that the stomach can and will stretch a small amount—that’s normal. But you must be careful not to routinely overeat or weight gain can occur. By adhering to our bariatric team’s instructions and following through with the aftercare program, you can develop healthy eating habits and increase the likelihood of long-term weight loss success. For more information about this process, please reach out to our friendly and knowledgeable medical team.